This weekend was the 33rd edition of the Hyères festival at the Villa Noailles, a celebration of new talents in fashion, accessories and photography. 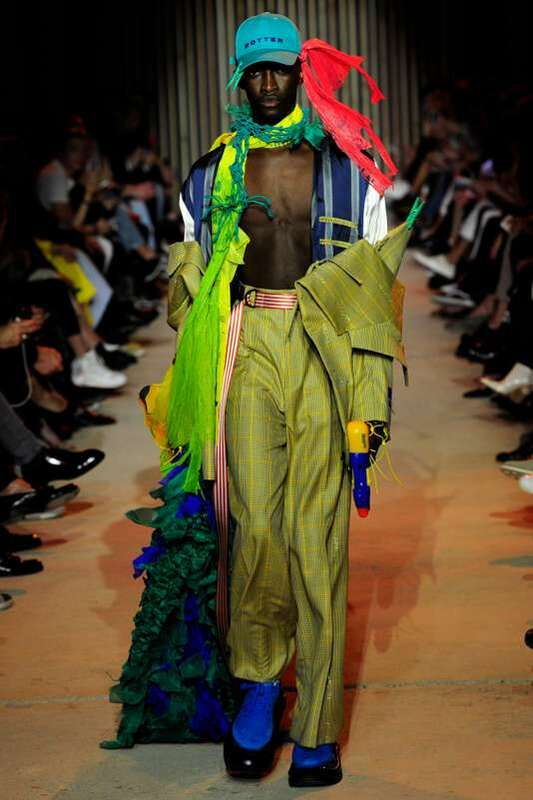 Chaired by Haider Ackermann, the fashion design jury chose the Dutch duo Botter (Rushemy Botter and Lisi Herrebrugh) as the 2018 Première Vision grand prix winners. Their collection called “Fish or Fight” acted as a manifesto for the protection of our environment, rethinking the way we consume and produce clothing. A fresh take on fashion and an important message spread while still delivering killer looks. The Chloé prize was awarded to the Canadian designer Marie-Eve Lecavalier who also received the Jury special prize and the Audience award was given to Sarah Bruylant from Berlgium. Ester Manas, whose collection was geared towards women of all shapes and sizes, also received a distinction from the Galeries Lafayette for whom she will be able to create a collection. The Woolmark company, sponsor of the festival, helped Manas and Botter produce certain pieces. Christelle Koché was president of the accessories jury which chose the french trio Kate Fichard, Flora Fixy and Julia Dessirier as the winners of the Swarovski grand prix for their “Earring” collection, jewellery made using hearing devices. The audience award went to Cécile Gray and her incredibly delicate wearable accessories called “Initiale (s)”.